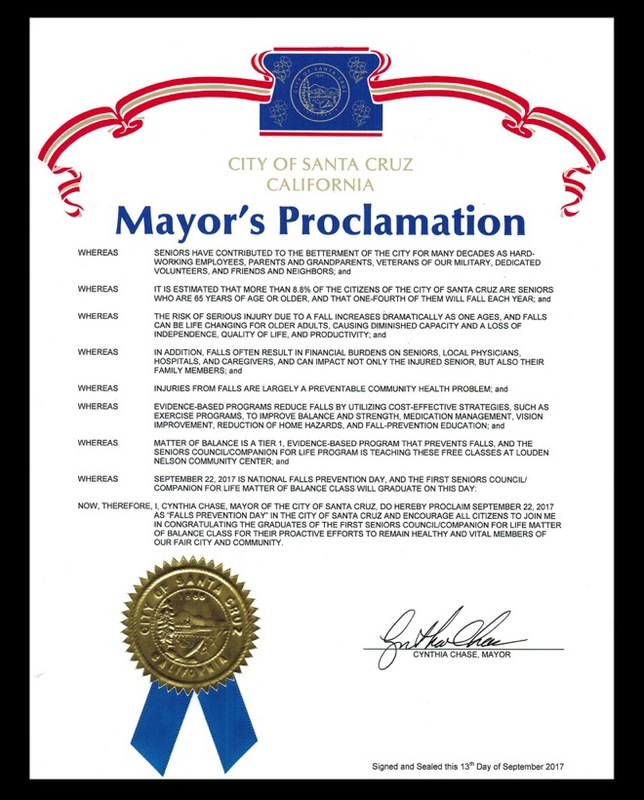 We would like to thank the City of Santa Cruz and Mayor Cynthia Chase for recognizing the efforts of The Seniors Council and the Companion for Life Project on this day, September 22nd, 2017 - the 10th Annual Falls Prevention Awareness Day. By presenting the Matter of Balance program free of charge to the community, The Seniors Council and the Companion for Life Project strive to educate older adults on how to manage falls and the proactive measures they can take to remain vital and healthy contributors to our community. Thank you for the proclamation. It is a great honor.